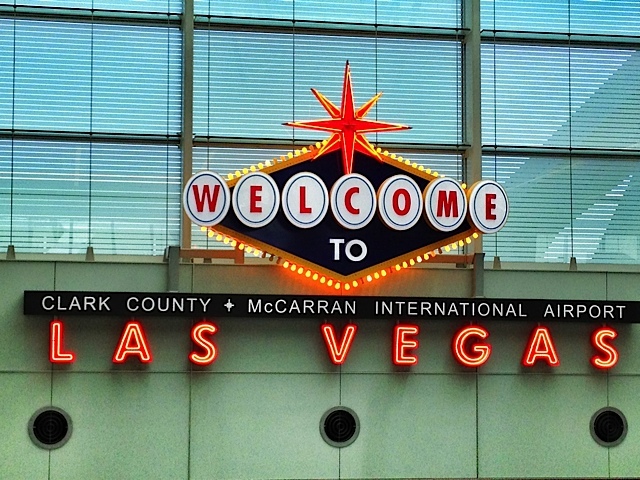 I’m talking about Las Vegas where the average tourist gambles only four hours in their 4-day stay. After a couple decades of being the fastest-growing city in the U.S., Las Vegas has seen its growth stall in recent years. Portions of the strip are dotted with steel and concrete shells as construction was halted and developers attempted to refinance projects and avoid bankruptcy. Just as Americans did with their homes, casino owners borrowed way too much money to build hotels that were way too big. The unemployment rate ballooned and for a while the city had the honor of having the highest foreclosure rate in the country of ANY metro area with at least 200K people. I visit the city often for various work conventions or when attending motorcycle rally’s and recall getting gouged on the rooms and expensive food so, over the last few years I could not be more unconcerned or feel less guiltless in taking advantage of the town when it was down. Hotel room rates have been slashed and suites that a few years ago went for $400 were recently selling for $125 a night. And, I’ve wanted to get some of my money back from the card tables for a while now. 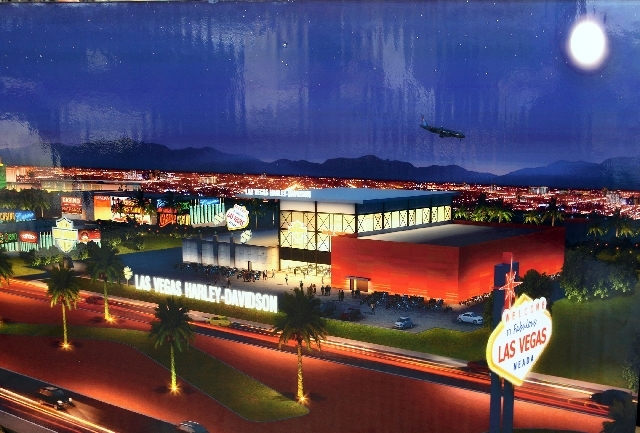 An artist rendering of the new Las Vegas Harley-Davidson dealership near the “Welcome to Fabulous Las Vegas” sign. But, economic defeat on the strip in this dirt wasteland is being reset by none other than Harley-Davidson. Mr. Andress and Tim Cashman are building an $18M flagship dealership on the south end of the strip. You may remember that this is where the “Welcome To Fabulous Las Vegas” sign attracts large numbers of tourists for a photo op. The Cashman’s plan to tap into the 40M annual visitors and build a 50,000 square-foot, two-level motorcycle complex which will clearly draw visitors off the strip. They purchased the 5.25-acre site at the bargain basement price of $8M and expect construction of the dealership to be complete in October 2014. The Cashman’s are no strangers to Las Vegas where they have three other Harley-Davidson dealerships and also control 10 alternative retail outlets (ARO’s) that sell everything in the alphabet with a H-D logo sans the motorcycle. Their total annual sales in 2012 was about $60M. Clearly the strip is on its way back! Photo taken by author and dealership rendition courtesy of Las Vegas Review.